The quality of services provided to people fighting drug addiction is not always of the same standard. It needs to change. Danielle O’Neal reports. For many Melburnians, Richmond’s Victoria Street is simply a place to eat authentic Vietnamese food. But for others, it is proof more needs to be done in the alcohol and other drug treatment sector. “It’s an example of when parts of society have become so dependent on substances they have given up all hope and are now solely working to feed their habit,” says Dr Christian Smyth from Turning Point, one of Victoria’s leading public providers of addiction rehabilitation services. “You have open distribution of illicit drugs on the street, you have people dying in alleyways from overdoses. Dr Smyth says that treating substance abuse successfully requires an approach that frames addiction in social and medical terms, rather than as a criminal offence. The opening of Victoria’s first medically supervised injecting room in North Richmond last month is a step in this direction. The centre provides drug users legal amnesty to inject drugs, as well as receive counselling and support to enter treatment pathways, and saved 12 lives in its first week, according to its director Dr Nico Clarke. However, not all facilities offering addiction treatment services in Victoria are made equal, says Dr Smyth. The recent proliferation of private, unregulated detox and rehabilitation providers in Victoria has health experts and medical regulatory bodies concerned addicts and their families may face financial exploitation by private rehab operators. 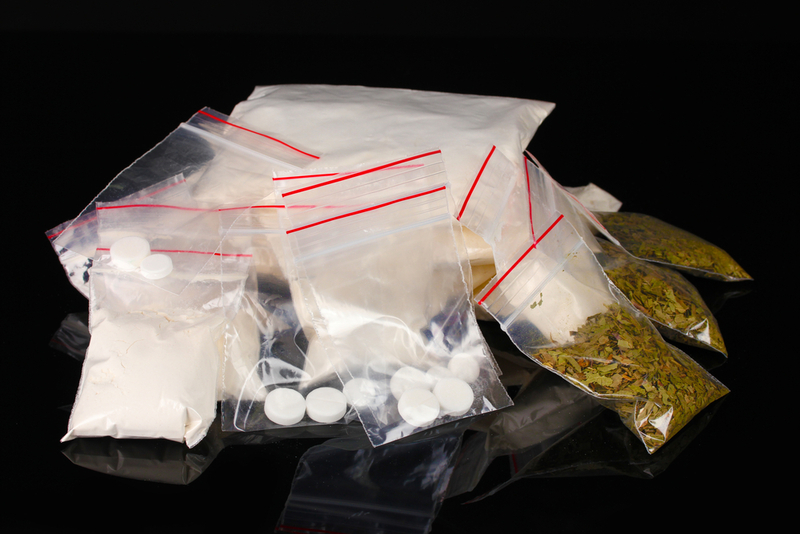 These fears have been echoed in a report from the Victorian Parliamentary Inquiry in Drug Law Reform, which has advocated for the development of national regulatory standards for private rehabilitation operators. Between February and December last year, 26 complaints were received by the Health Complaints Commissioner in relation to private rehab operators; most of the complaints were in regard to exploitative billing practices. “A lot of these practices will charge $15,000, $20,000 a month,” says Dr Smyth. Concerns with the non-regulated private sector not only relate to the expense involved in accessing services, but also that such services are not subject to the same ethical, quality and safety provisions as public providers. In Victoria, the publicly funded addiction treatment workforce is made up of about 1700 staff across 100 agencies, Kym Peake, Secretary of the Department of Health and Human Services told the parliamentary inquiry last year. All treatment providers that receive government funding must be accredited with a recognised health accreditation body and registered with the Department of Health and Human Services. Private rehabilitation operators that do not receive any government funding are not subject to any such regulation. An ABC Four Corners investigation into the private rehab sector, aired in September 2016, raised concerns about several Victorian private rehab operators. The Hader Clinic, a well-known private rehab in Melbourne that has been operating since 1998, was singled out. Although the clinic declined requests from Four Corners for an interview in 2016, the current General Manager, Jackson Oppy, told The Citizen that The Hader Clinic offers good value for money treatment. The Hader Clinic charges $20,500 for a 90-day program. “We charge $227 a day for residential rehab which includes accommodation, all meals, clinical psychologists, nurse practitioner, a therapeutic program from 7am-11pm at night, with 24 hour supervision support staff,” says Mr Oppy. Mr Oppy agrees that it is very difficult for families to navigate the public rehab sector and welcomes standardised regulation. “Unfortunately, people do sometimes end up at disreputable providers providing rehab with unqualified staff in unregistered premises, and they do get their fingers burnt. When that happens the whole private sector gets labelled as sharks. Regulation of private alcohol and other drug treatment providers would also assist courts in ruling on substance-related cases. “Magistrates don’t even know the difference,” says Dr Smyth. Magistrate Tony Parsons, who supervises the Victorian Drug Court, says it is in the best interests of the community and the court that alcohol and other drug rehabilitation services are accredited. “We wouldn’t order a medical assessment from an unqualified practitioner, nor should we entrust the health of people needing support for addiction to non-accredited rehabilitation providers,” says Mr Parsons. The Victorian government is due to respond to the findings of the Inquiry Into Drug Law Reform report by September.